View Larger Happy Hippie Foundation Youth T-shirt Soft-feel white tee featuring the Happy Hippie Foundation logo on the front and #HAPPYHIPPIE on the back. 100% cotton. 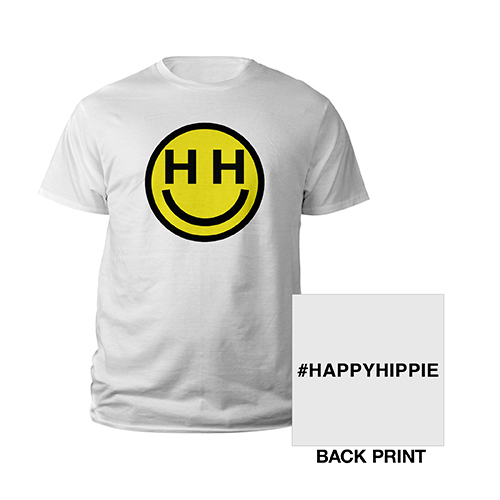 All net proceeds will be donated to Miley's nonprofit organization, The Happy Hippie Foundation.